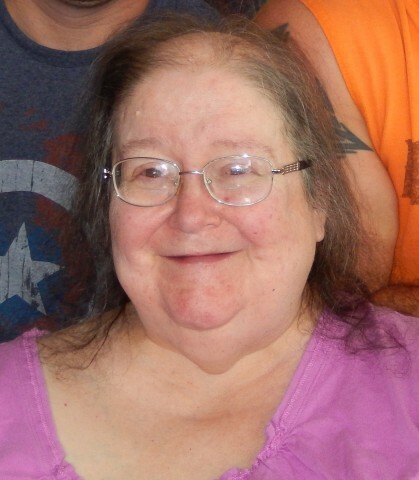 Miss Debra Beauregard, age 62, passed away unexpectedly at her home on September 8, 2017. She was born in St. Albans January 17, 1955, daughter of the late Joseph Gerald “Pop” and Madonna (Loyer) Beauregard. She was a graduate of Bellows Free Academy. She returned to BFA and served as a Kitchen Assistant for many years. Debbie loved Bingo. She was a bingo caller for Holy Angels and the VFW Penny Bingo, where she received a certificate of appreciation. She also enjoyed playing cards and animals. She will be remembered as a fan of the Walking Dead, and Wrestling on TV. She loved Jeff Dunham and his puppet friends. She enjoyed spending time with her nephews and their families. She enjoyed trips to Red Lobster with Lori Gadue-Kennison, road trips with Shirley Ovitt, and her weekly Chinese dinners with John Seiferth. Debbie was a communicant of Holy Angels Church. 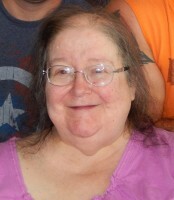 Debbie is survived by her sister Diane Vieta and her husband Carl of Franklin, her nephews and their families Todd Beauregard and his wife Heather with their children Bailey and Jarrett all of Franklin, Christopher Lamothe and his wife Angela, and son Grayson all of Jacksonville, FL, her aunt Jacqueline Beauregard of St. Albans, and special friends Shirley Ovitt, Lori Gadue-Kennison, John Seiferth and Tammy Gaudette. A Funeral of Christian Burial will be held on Thursday, September 14, 2017 at 5:00 PM in the Brady & Levesque Funeral Chapel, with Father Joseph Ikebugnam officiating. The family will receive condolences from 3:00 PM until the time of the funeral. Interment will be in the Beauregard family lot in Mount Calvary Cemetery, Friday, September 15, 2017 at 10:00 AM. As an alternative to flowers, memorials in Debbie’s name may be made to the Franklin County Animal Rescue, 30 Sunset Meadows, St. Albans, VT 05478. Arrangements are entrusted to the Brady & Levesque Funeral Home and Commemorative Services, where online condolences may be shared with her family at: www.bradyandlevesque.com.